Professional Services solution provider, Coffee GmbH reaches new heights of productivity by using MyCRM’s MyGeoMap productivity enhancement for Microsoft Dynamics 365. Map Views provide visibility of Sales Appointments to make complex planning now simple. MyGeoMap delivers integrated Route Planning, making scheduling easy and highly efficient. COFFEE GmbH are a Computer Solutions provider, specializing in Manufacturing and Development industries ("Computerlösungen für Fertigung und Entwicklung”). 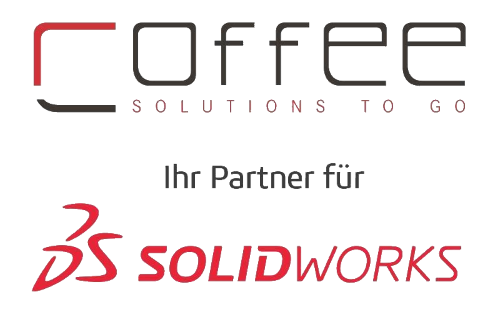 A highly successful and leading SOLIDWORKS solutions partner and provider, Coffee GmbH have been delivering expertise to the CAD / PDM Portfolio, Simulation (FEM) CAM and 3D printing for over 20 years. Our sales team have to schedule and plan many appointments with customers, many of which are scheduled at very short notice. This had become very complicated and we needed visual representation of appointments to be shown on a map to allow us to more efficiently plan and schedule appointments based on a given location and prior appointment commitments. MyGeoMap (eMap) provided everything we were looking for and more. Our Sales Representatives are now able to plan all appointments, especially those short term appointments, very easily using map views. We have become more efficient by being able to schedule more appointments and plan routes that maximises sales representative’s availability based on their location and route being taken. We have increase the number of appointments being conducted by 200% as a result of using MyGeoMap. Being able to visualise and plan our appointments duration based on their location, taking travelling distance and timings into consideration through use of MyGeoMap’s Route Planning capabilities has made a massive difference. What was previously an extremely complex calculation has become very easy. Now with MyGeoMap, our sales representatives are very happy to be conducting more appointments through being able to maximise their time when out seeing customers. We rate MyCRM very highly. Their team are highly professional and are quick to respond to communication requests. They keep things simple and easy to understand. They demonstrate a genuine, caring attitude towards us and like to offer support and help. No, we took a trial of MyGeoMap and decided to invest in this productivity enhancement as it did everything we needed it to. We would absolutely recommend MyCRM and particularly MyGeoMap to everyone who is using Dynamics 365 or CRM. Every organisation who wants visibility of appointments and the ability to plan routes efficiently should invest in it. Just being able to see geo-coded Dynamics 365 records on a map view is also really useful. For sales, being able to show location pins for all Opportunities really helps to focus attention to help close sales. MyGeoMap delivers what it promises; it is a highly effective and a valuable productivity enhancement for Microsoft Dynamics 365 and CRM. What could MyCRM do better? We would welcome being shown how to exploit MyGeoMap even further and would welcome online sessions to cover other areas of functionality. Now heading into the 10th year of business, MyCRM focus on the delivery of great productivity enhancements for the Microsoft Dynamics platform. The MyCRM team support customers in 27 countries, and look to help deliver excellence and support where needed.